When a teenage genius goes missing, the residents of a small Texas town try to unravel the mystery. Fact: Tommy was very good at physics and less good at basic human interaction. The conclusions to be drawn from the facts are not simple. Did he run away to find his birth parents? Did he slip through a wormhole and enter one of the multiple universes he believed in? Did he simply wander off? Only one thing is certain: until one possibility is proven true, all possibilities exist. Told through multiple perspectives, here is a story about how the residents of a small town seek answers to the mystery of a teen’s disappearance. 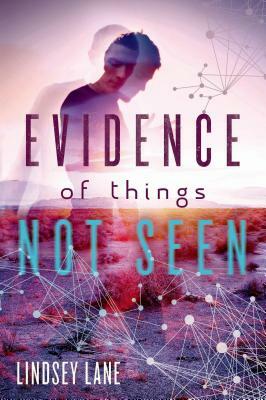 Evidence of Things Not Seen by Lindsey Lane explores themes of loneliness, connectedness, and the role we play in creating our own realities.